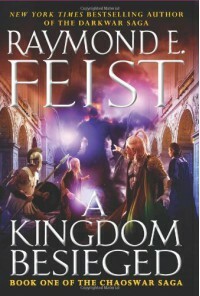 If you read fantasy, you've probably at least heard of Feist and his Riftwar series. A Kingdom Besieged is the first book in the fifth series set in this world. I read the Serpentwar Saga (the third series) at the respectable age of I think 11 or 12 and I remember really enjoying them. So, when this one showed up on NetGalley for review, of course I hit the request button! And while I did like the book, it wasn't as enjoyable for me as I'd expected it to be. 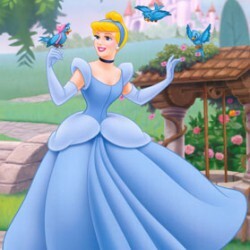 I think it's partly because I had such high expectations for it and I always try not to do that, but I can't help but feel a bit disappointed that I didn't get sucked into the world like I did when I was younger. This book is definitely very busy in terms of introducing characters and worldbuilding. There were so many different characters and POVs following each other pretty fast and abruptly that I lost track of all of them. And I also felt like I probably needed to have read all four previous series (and maybe pretty recently) to really get everything that was happening. Some things were overly explained and then there were things that left me wondering if I'd missed something or skipped a part of the story. Because of this, I never really felt absorbed by the story and didn't feel the drive to continue reading it as much as I would have liked. For me, it suffered from first-book-in-series syndrome. There was a lot of plot leading up to things that are gonna happend. They're just not happening in this particular book. But I do have to say that I really like the world in which this is set and the whole creepiness of the demons (the eating each other to grow and develop thing) is pretty different. And revisiting characters made me develop more of a feel for them, so I'm guessing that in book 2 there'd probably be enough of that to form a real connection. There is a lot of promise for really interesting events to come, I'm curious to see what'll happen in the next book.